“It still looks terrible,” said Fenderis. “And now?” I asked, twisting the wire of the cable a little more to the left. I leaned my head over to one side and took a peek at the screen. “What the @#$%!! Back to work, then,” and I went at the cable wire with my screwdriver again. Every now and then I reach the conclusion that the quality of Cable TV at the House of Elver is pathetic. Since asking the Cable Guy to rectify the situation is about as likely to bear fruit as a lamp-post, the steps I take consist of fiddling with the cable wire that hangs outside the balcony of my bedroom, precariously balanced on the railing, while Fenderis tries to adjust the fine-tuning and reports to me whether the picture is any better. This exercise is always futile, but I pursue it nevertheless, which only goes to show that there is a bit of Sisyphus in all of us. On this occasion, after about half-an-hour of fruitless labour, I was about ready to call it quits, when I happened to look down onto the lawn. For a moment I thought that someone had lit a fire in the garden. Everything looked the colour bright flame. Then cooler counsel prevailed, and I realised that I was being paid a visit by Princess Ariel, my long-suffering girlfriend. Her hair varies from strawberry blonde to a deep crimson depending on the light, but by the setting sun, it's always flame-red. She’s really one of the nicest people in the world, apart from being one of the hottest, which says it all, really. We get along very well, except for the fact that I neglect her terribly and she cheats on me from time to time. “Hullo, Ariel,” I said, waving down. “What are you doing up there? You’ll fall off! Get down here this instant!” she yelled back up. “Right ho,” I said, and leaped off the railing onto the lawn, falling with a loud-ish sound on the tarmac and, I daresay, giving quite a nasty shock to several families of frogs and snails. “Of course not, sweets, I’m merely bruised. Some womanly comfort wouldn’t be amiss, though,” I said, patting her hands playfully. I froze. The voice was unmistakable. Turning my head behind me, I confirmed that I had not made a mistake. And sure enough, there stood the Queen Tigress, my mother, accompanied by Papa Jormundgandr. I struggled to my feet and performed my best imitation of a municipality tap. “Stop gurgling and let us in,” came the command from the Queen. “Right ho,” he hissed back and bounded off. In a few minutes we were all inside, with the fireplace crackling merrily. Papa Jormund was comfortably settled in my favourite armchair, the Queen Tigress was regally seated on the other chair, Fenderis was sitting on the carpet before the fire and Ariel was warming her hands before it. I stood nervously next to the fireplace, shifting my weight from one foot to another. There seemed to be a general consensus that this was a good idea, so I kicked Fenderis on his right flank. He trotted off into the kitchen. There followed one of those uncomfortable silences that always tend to descend on the Elver house when the parents visit. Presently Fenderis returned carrying five cups of coffee on a tray. A few sips of Cappuccino later I felt much better and actually able to carry on a conversation. She glanced around the room disapprovingly. She gave me another disapproving glance. “What? What what what? We are going where? And why? And who’s we?” I said, reeling. If Fenderis hadn’t propped himself against my knees I’d have fallen to the ground. “Blessings for what?” I asked, getting straight to the point. The words rang in my ears like the ringers on those old ring-dialing phones. I clutched at the mantelpiece for support. “But, but, isn’t it ever so far away?” I asked. 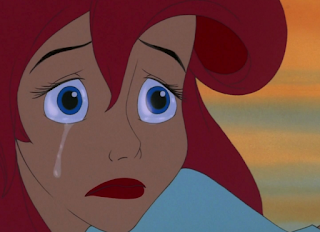 Ariel, who’s never missed an opportunity to display her flair for melodrama, promptly started sobbing. “Isn’t the shrine, like, way in the interior?” I asked again. For a moment I thought she wavered. She gave some signs of thinking about what I just said. And then Fenderis had to shove his oar in. “Pub-hopping!” said Papa Jormund disapprovingly. And with those words, she swept out of the room, Papa and Ariel in tow. Ariel turned back at the door to stick her tongue out at me. When they were safely out of the driveway I slowly walked over to the door and shut it. Then I turned around and glowered at Fenderis. He was brushing his fur nonchalantly. I pounced onto his back and held him fast in a triple-cross-face. “I’m sorry,” he yelped through clenched teeth. I merely tightened my grip further. “I’ll make you pay, you mangy piece of fur!” I said and brought down a punch on his face. But he knew me all too well. No other word in the English Language has quite the same ability to reduce me to a damp piece of blotting paper. My limbs went limp. I released him and rolled myself into a corner, hiding my face in my hands. “Woe is me,” I said melodramatically, borrowing a page from Ariel’s book. I glanced up and stared at him. I ignored the murderous look he gave me and proceeded to call the travel agent. That was a really enjoyable read. I really love your Ariel - Jormund pieces. The humor part is really good. But I am yet to get a hang of when and where of the story's setting. Maybe I missed the pieces that had them. Percy! This is lovely. 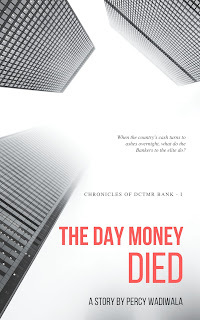 Why you would give up on being able to write commercially is only known to you and your maker! So how long till we see Part II? You know you should have kept this locked up, not that I am complaining. When you wrote exercise is futile--I don't know, word association perhaps brought back welcome memories of Six of Nine Borg'ing out Resistance is Futile!! A well cherished memory. When will you put Ariel out of her misery? And if you have, it is time we got to read about Jormund's travails of the hitched kind. Interesting character, this Jormund. I'd rather spend all my time with Ariel. The writing is engaging, and good, very good.